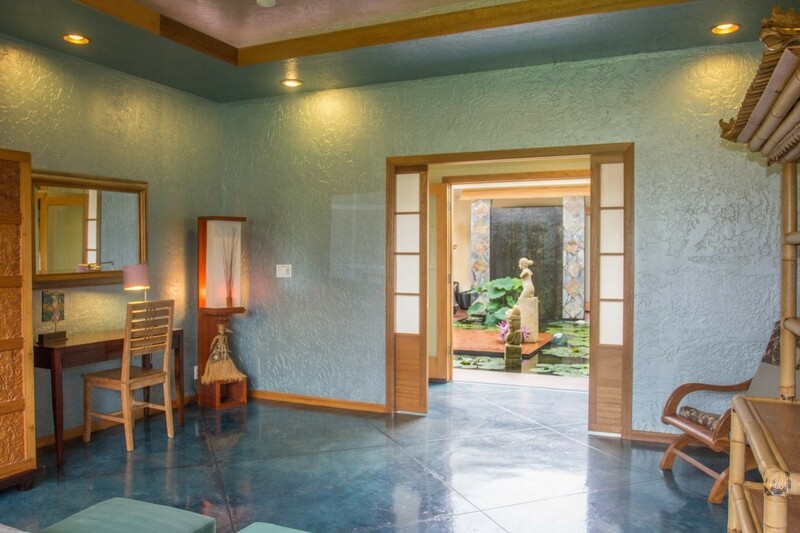 A one-of-a-kind zen masterpiece of a home. 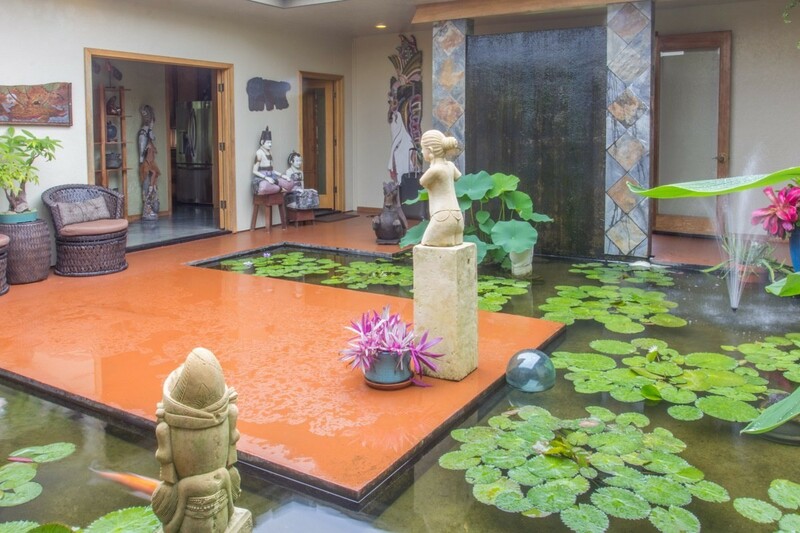 Situated on a serene acre, built around a central atrium with a large koi pond with an 8&apos;water feature. 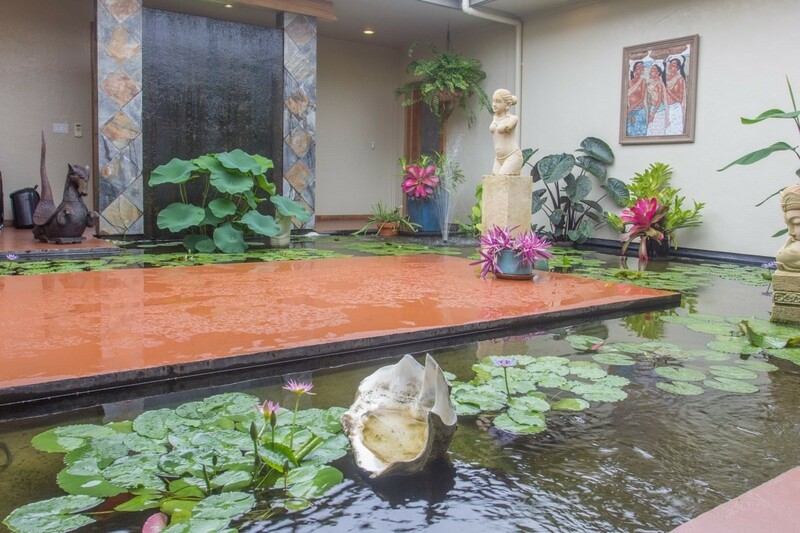 Everywhere in this designer home you&apos;ll be serenaded with the tranquil water sounds. This unique design floods the interior with light while providing an ever-changing living focal point. Enter through the main door, and you are greeted with a 2-sided cascading fountain. 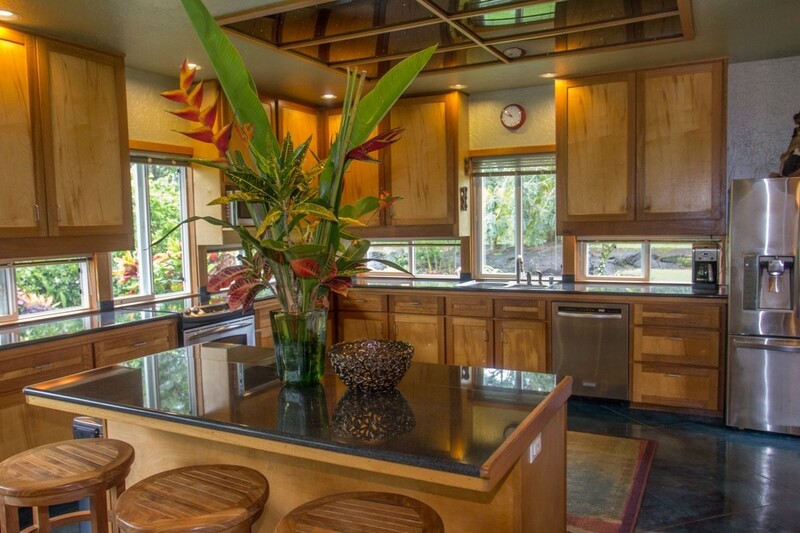 Step into the chef&apos;s kitchen and you&apos;ll find a very unique feature - under cabinet windows! Granite counters, an enormous kitchen island with storage below, custom cabinets, and a fiber optic starscape light installation on the ceiling complete this exceptional room. The great room, with glass paneled french doors, opens onto the atrium. This room is spacious, with room enough for an extra large dining table. The high ceilings have a tray design and recessed lighting. There are 3 very large and comfortable bedrooms. The master has an en suite bathroom with a jetted soaking tub with marble floors and tub surround. 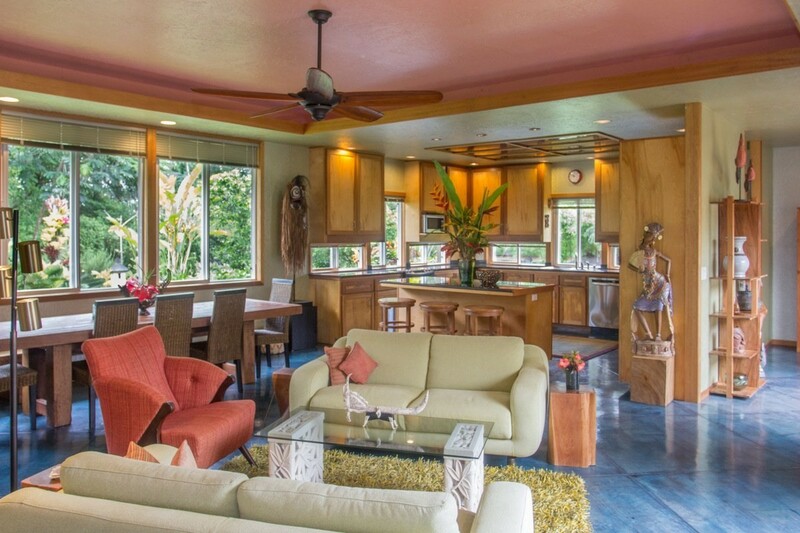 There is a walk-in closet, and sliding doors opening onto a private backyard lanai. Continue down the hall and you&apos;ll find a 2nd bedroom with shoji style closet doors and a view of the central courtyard. 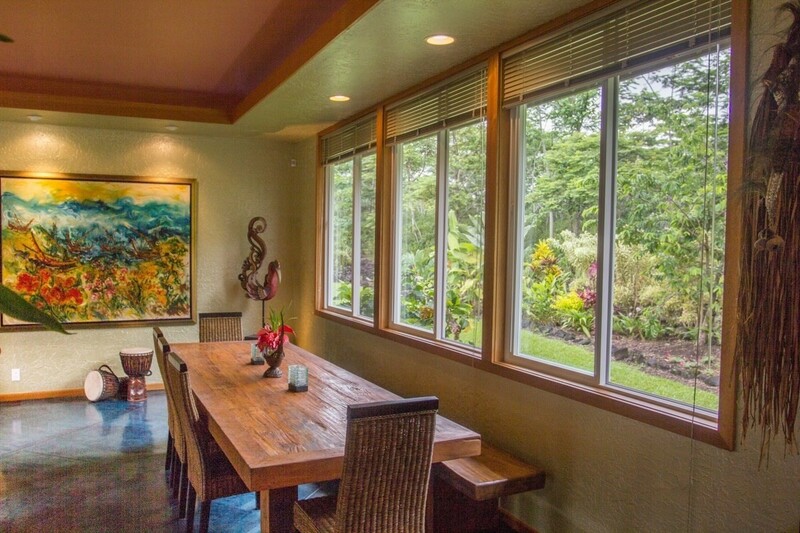 The 3rd bedroom is has room for a separate sitting area, and sliding doors that open onto a side-yard lanai. Across the hall is another bathroom with a slate-tiled walk-in shower and a double-sink vanity. 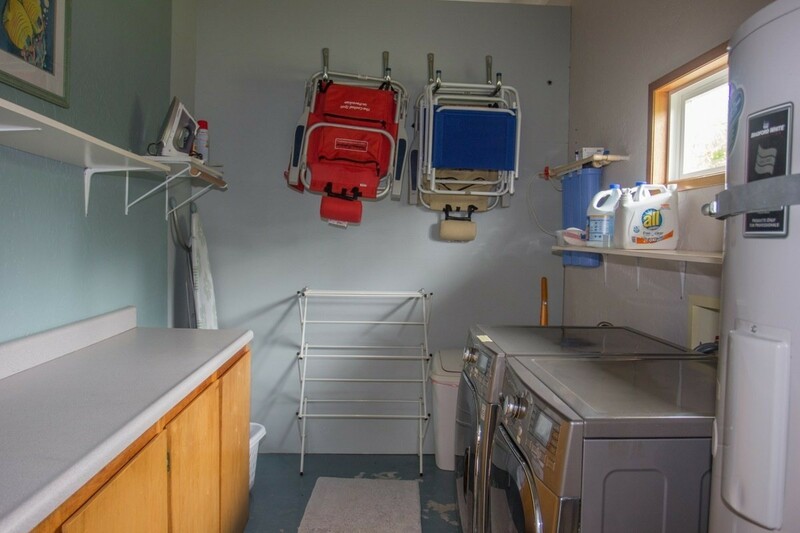 Additionally, there is a separate laundry room with washer hook-up, storage and a long counter for folding. The attached 2 car garage has built in cabinets and work areas. 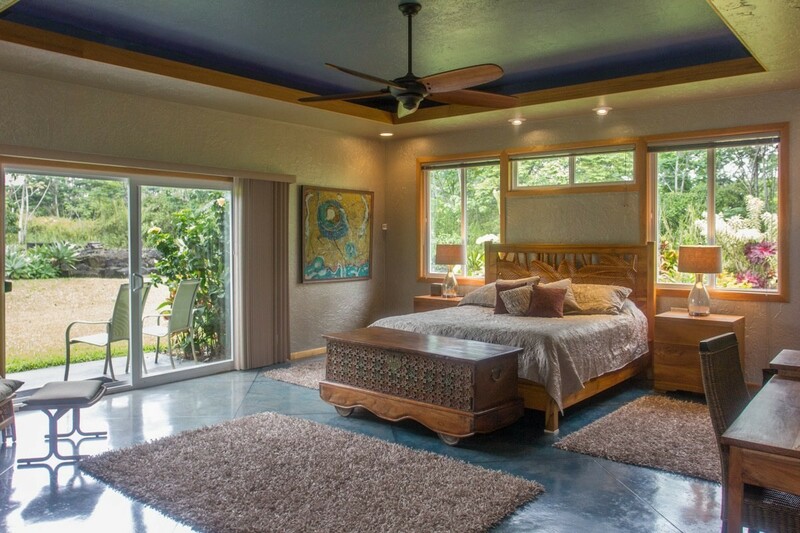 Throughout the home are gleaming cement floors. This home can be easily navigated by persons needing mobility assistance. 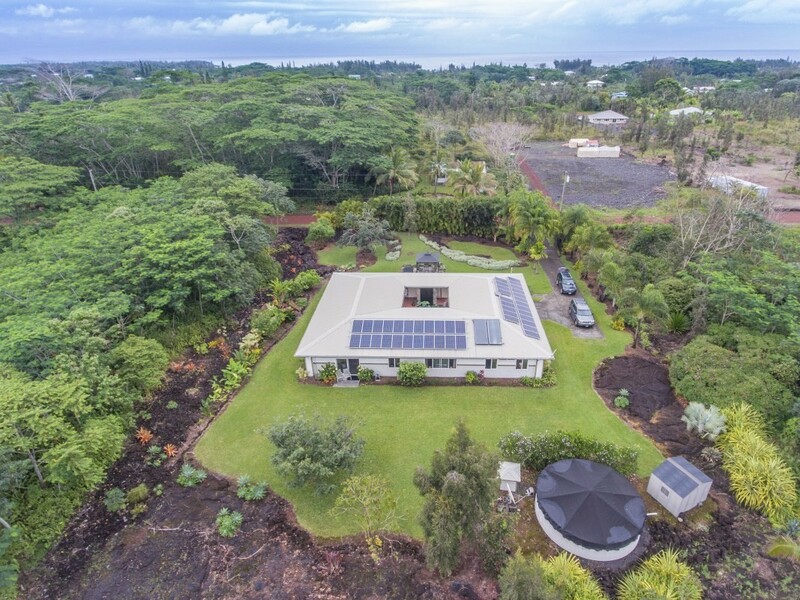 This beautiful home sits on one acre just a few blocks from the ocean. Enter through a custom security gate into the landscaped garden is manicured to perfection! 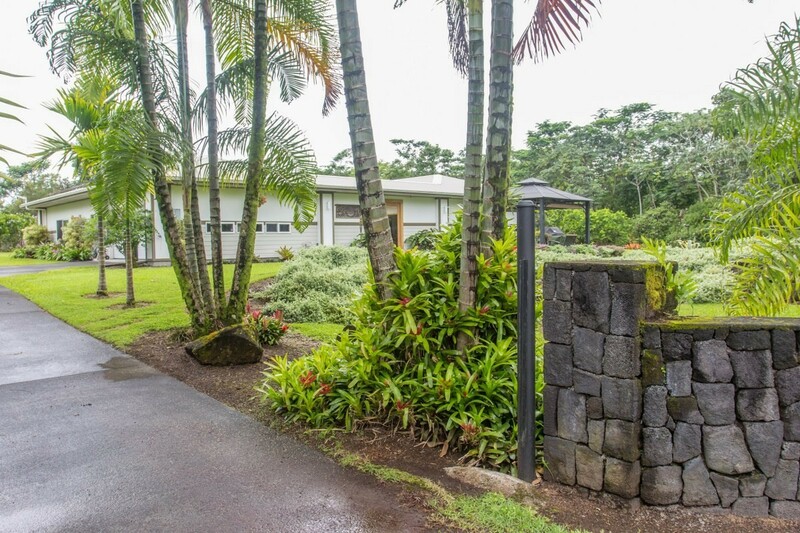 Natural lava rock accent the tropical foliage and sprawling lawns. A one-of-a-kind zen masterpiece of a home. 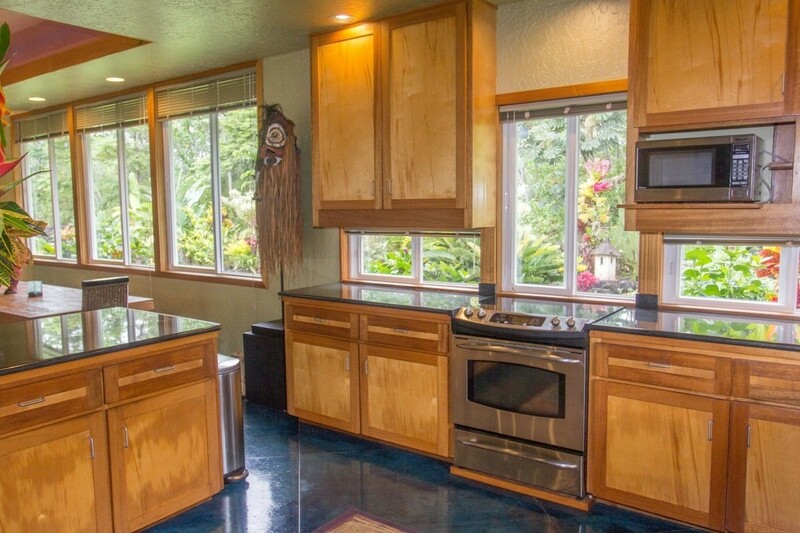 Step into the chef's kitchen and you'll find a very unique feature - under cabinet windows! Granite counters, an enormous kitchen island with storage below, custom cabinets, and a fiber optic starscape light installation on the ceiling complete this exceptional room. The great room, with glass paneled french doors, opens onto the atrium. The high ceilings have a tray design and recessed lighting. 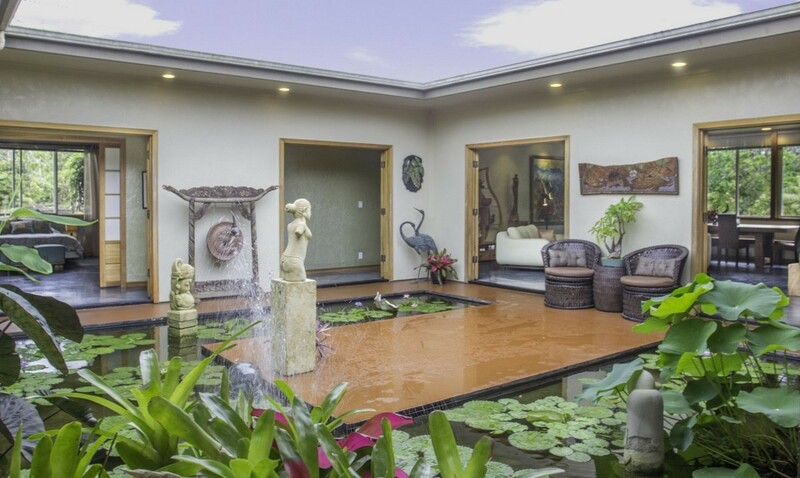 Behind the front entry is a 2-sided cascading fountain. The great room is spacious, with room enough for an extra-large dining table. Everywhere in this designer home you'll be serenaded with the tranquil water sounds. 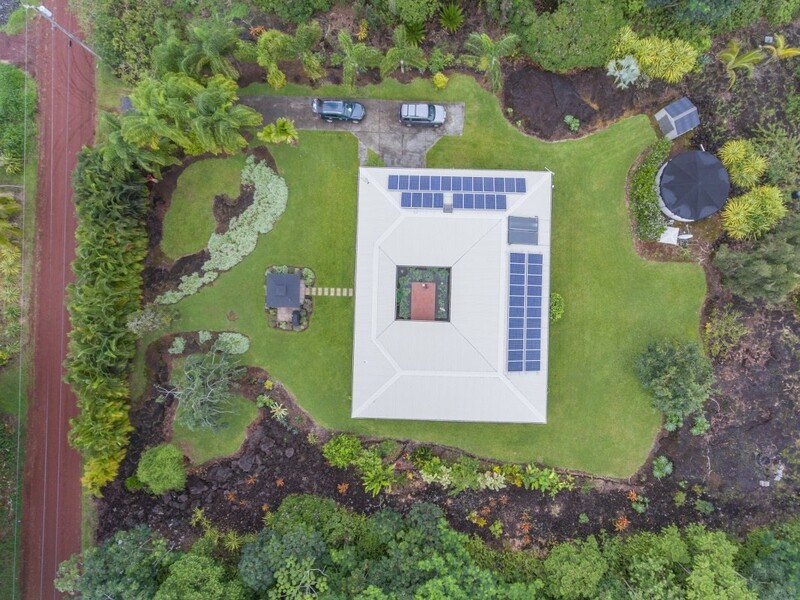 This view shows the proximity to the ocean and the extensive solar system in place. 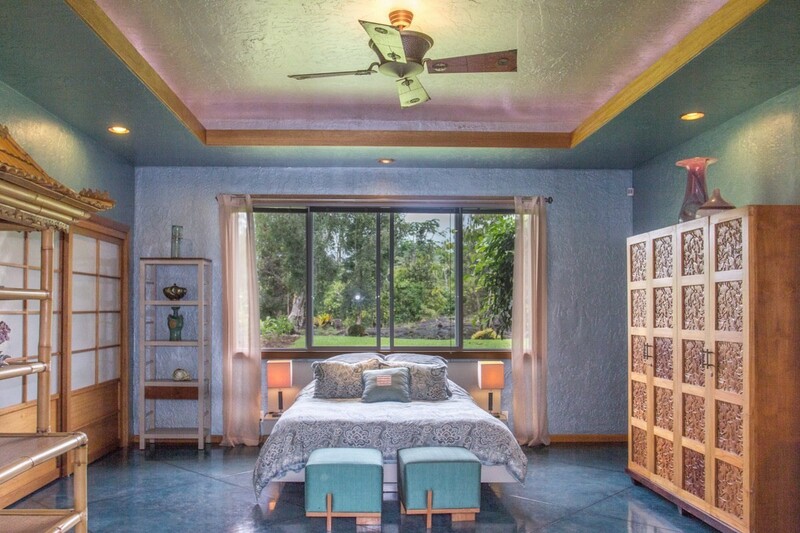 The master bedroom has a walk-in closet, and sliding doors opening onto a private backyard lanai. 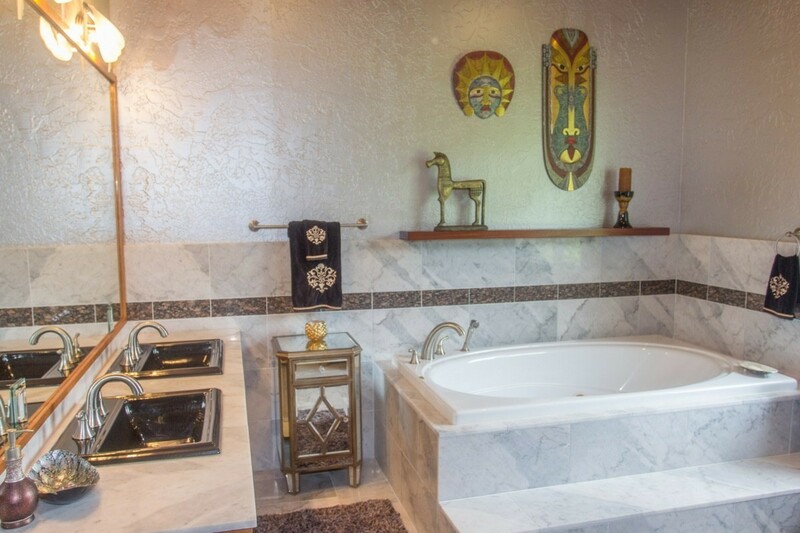 The master has an en suite bathroom with a jetted soaking tub with marble floors and tub surround. 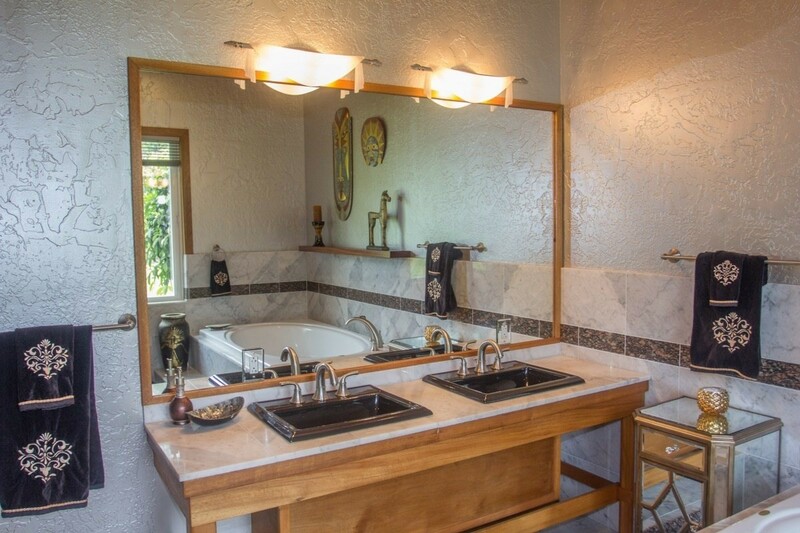 Double sinks in the master suite bathroom. This unique design floods the interior with light while providing an ever-changing living focal point. and a view of the central courtyard. 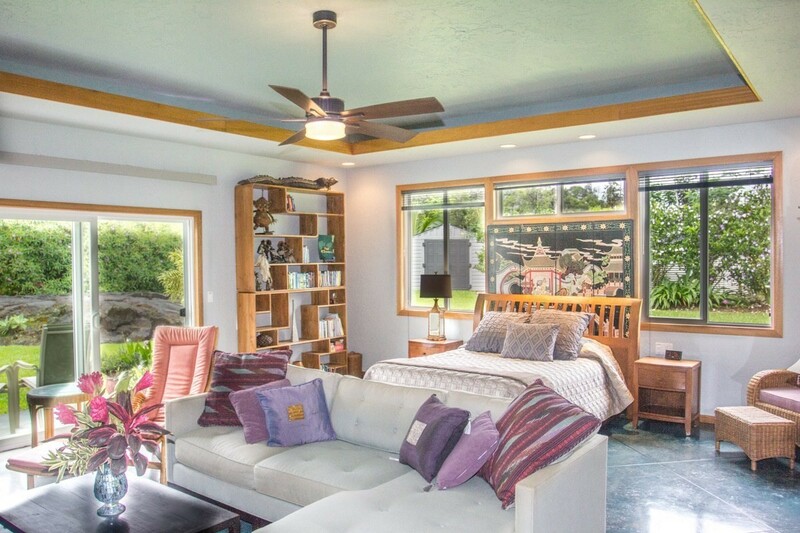 The 3rd bedroom is has room for a separate sitting area, and sliding doors that open onto a side-yard lanai. 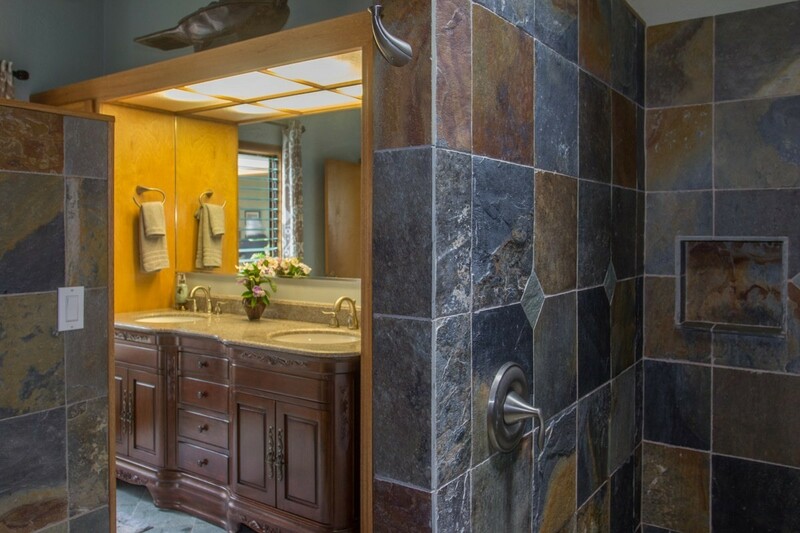 Across the hall is another bathroom with a slate-tiled walk-in shower and a double-sink vanity. 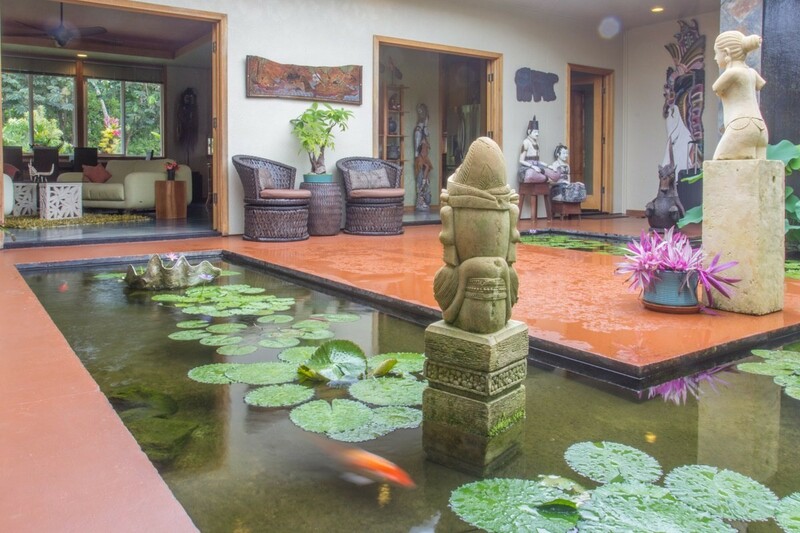 Situated on a serene acre, built around a central atrium with a large koi pond with an 8'water feature. 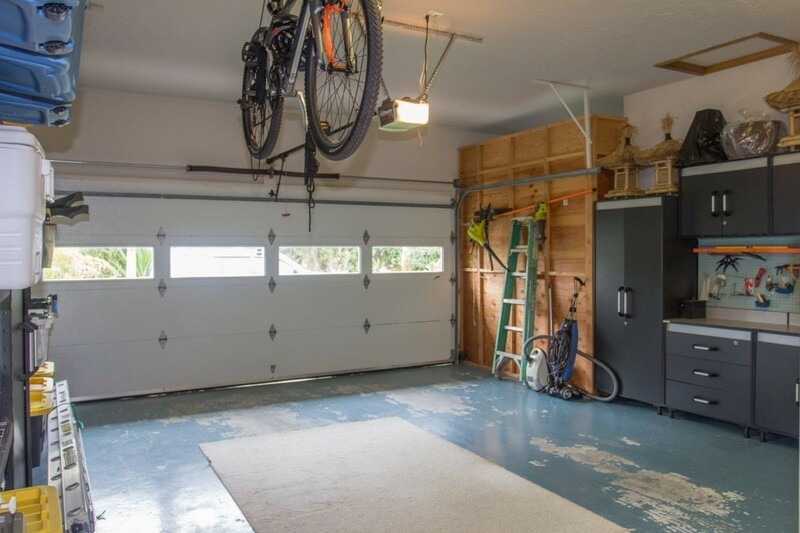 The attached 2 car garage has built in cabinets and work areas. A garden gazebo lets you enjoy the manicured grounds. From the sky you can see the unique design. Enter through a lava rock gated entry. 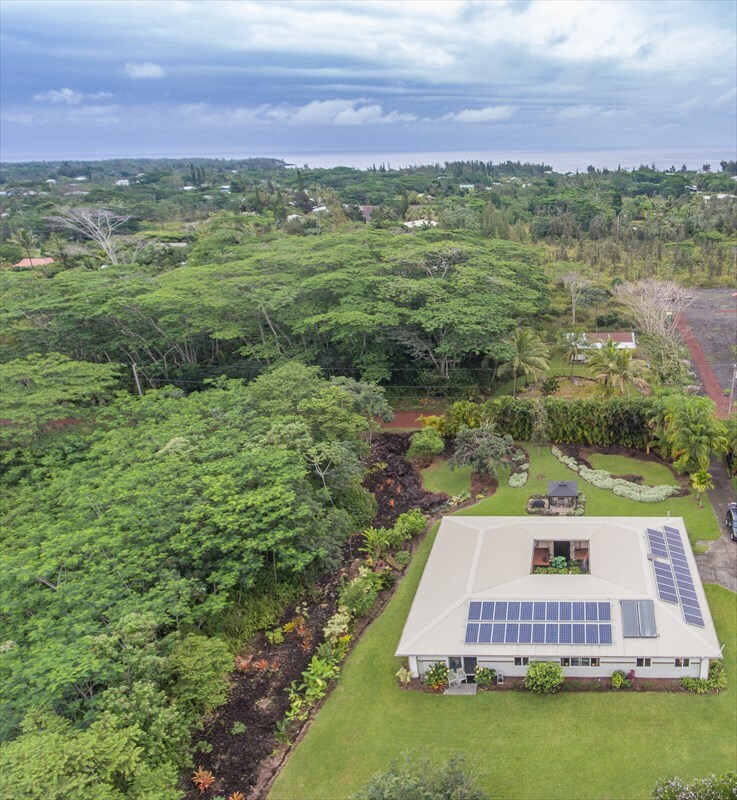 This beautiful home sits on one acre just a few blocks from the ocean. The landscaped garden is manicured to perfection! 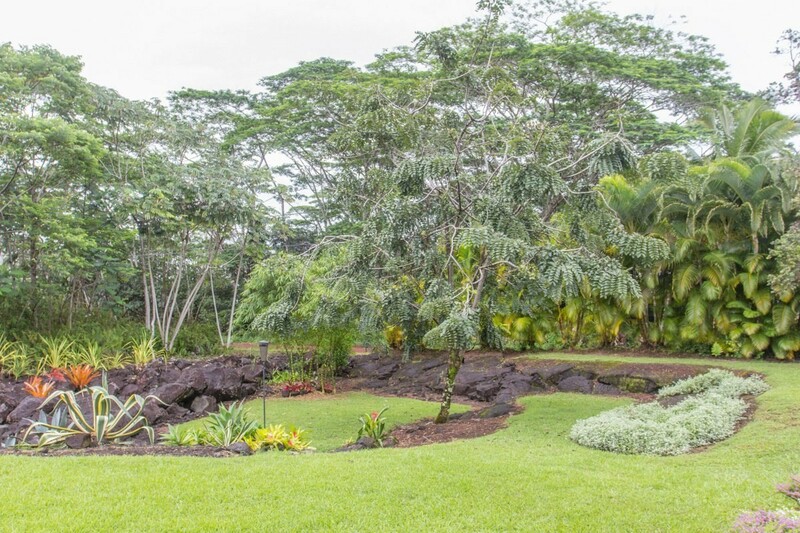 Natural lava rock accent the tropical foliage and sprawling lawns.